The Nicaraguan resort Rancho Santana has won accolades from the travel press for being world class; problem is, the local electric grid is not. Located on 2,700 acres, a three-hour drive from the airport on the remote Pacific Coast, the luxury resort is connected to a central grid the offers spotty and expensive power. Nicaragua is a nation that’s been notoriously slow to fully electrify. Only 77 percent of the population has access to electricity, up little from 71 percent in 1990, according to the World Bank. The solution? Rancho Santana will soon join the growing number of resorts that use solar plus storage and other microgrid-like solutions. 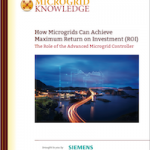 Resorts may not be the first candidates that comes to mind for microgrid-like solutions. The technology tends to be associated with critical facilities – like hospitals, military installations or data centers – or electrification for the poor in places like rural Africa and India. 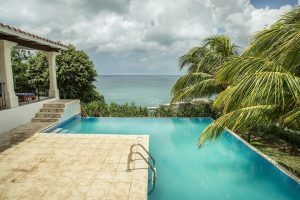 But resorts that use solar plus storage are on the rise, as remote vacation spots try to attract green leaning patrons and guarantee their comfort. Richard Branson’s Necker Island microgrid is probably the most publicized. But there are many other examples, as different as New England retreats and African luxury outposts. At Rancho Santana, a local energy performance contractor PELICAN introduced the idea to the resort’s management. PELICAN will install an 800-kW PV system that will be integrated with a 200-kW (four-hour) flow battery by Texas-based ViZn (pronounced ‘vision’) Energy, along with back-up diesel generators. The system will use controls by Japanese manufacturer IHI. “Our annual utility expenses are growing and we are exposed to significant peak demand charges, so we had to find a way to sustainably reduce our energy costs without impacting the sensitive environment at the resort,” said Rancho Santana CEO Matt Turner. The solar plus storage system will help the resort save more than $250,000 per year on utility bills, according to Turner. “Using the non-toxic ViZn batteries for the energy storage not only alleviates any of the environmental concerns, but also provides excellent ROI,” he said. Mike Grunow, vice president of marketing for ViZn Energy Systems, said that the project was originally intended to be solar alone. But upon examining the load shape, the developer saw strong cost advantages to adding storage. The facility faces tremendous spikes in electricity costs from 6 to 9 p.m. when demand rises because residents arrive home and turn on their air conditioning and electronics. The solar plus storage system will allow the resort to charge up during the day with the solar panels and then discharge the energy in the early evening, limiting the resort’s need to rely on grid power at a time when it is exceptionally expensive. The developer expects to install the system this summer and achieve a project payback in six and a half years. The resort will fully own the system. ViZn will provide a 20-year maintenance contract on the battery. ViZn describes its energy storage system as a self-contained solution that does not require cooling systems and experiences zero capacity fade over 20 years. The flow battery also can perform both rapid, high-power discharges and slower, long-duration releases at lower power, ViZn said. This allows the battery’s users to stack applications and incorporate multiple value streams. A nine-year-old company, ViZn also is providing a 2-MW flow battery – the largest in North America – for a project underway with the Ontario Power Authority. 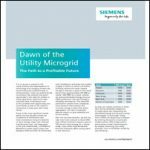 Track news about other resorts that use solar plus storage by subscribing to the Microgrid Knowledge newsletter. It’s free. Great story as usual Elisa, thanks for highlighting this creative microgrid application. Are you aware of any available financial analysis cost/payback for this installation? And how the system installation was financed?